The Balmain Paris Pen is a simplistic yet stylish black and silver ballpoint pen, perfect for the fashionable business world of Cape Town. 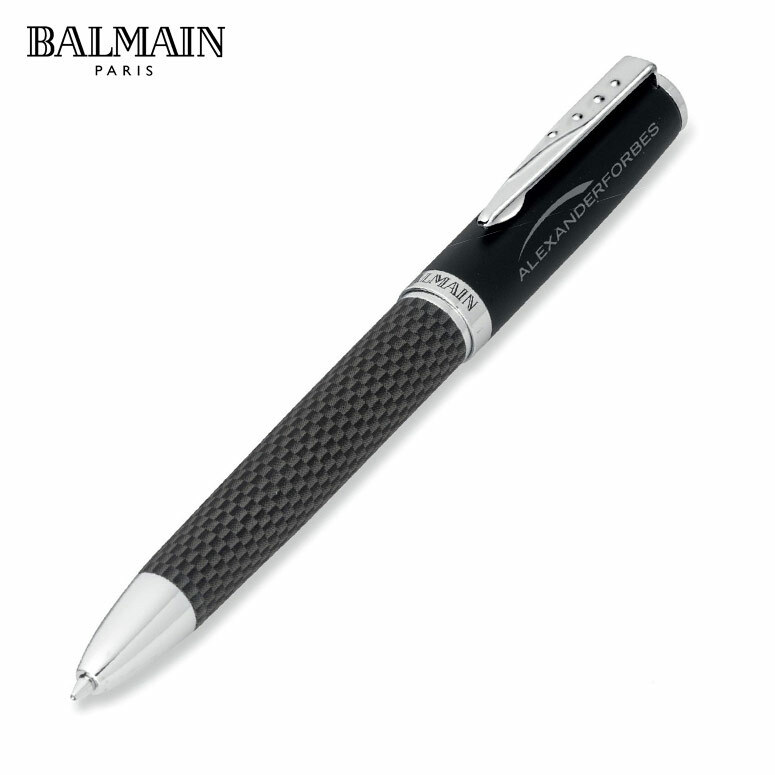 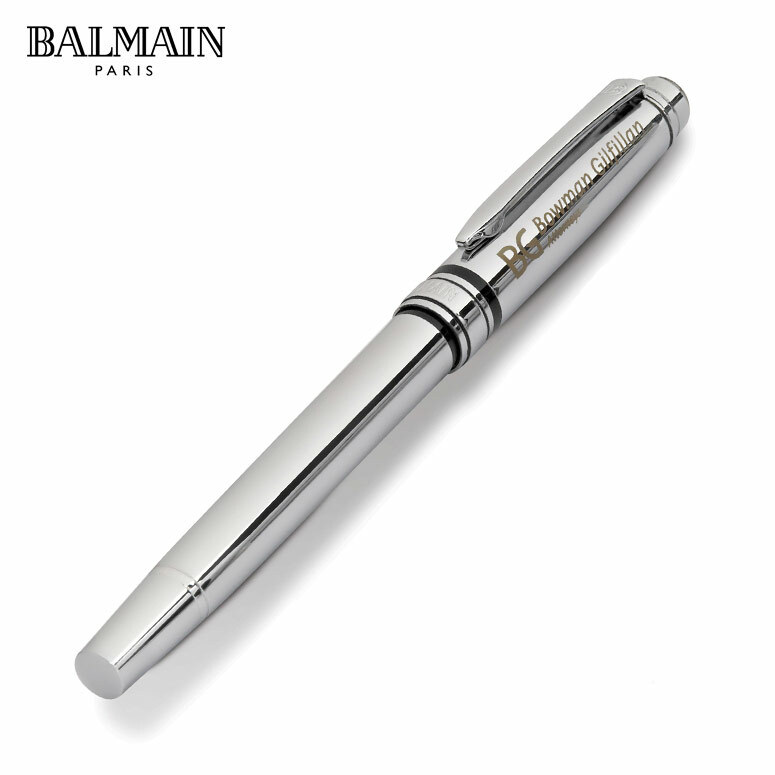 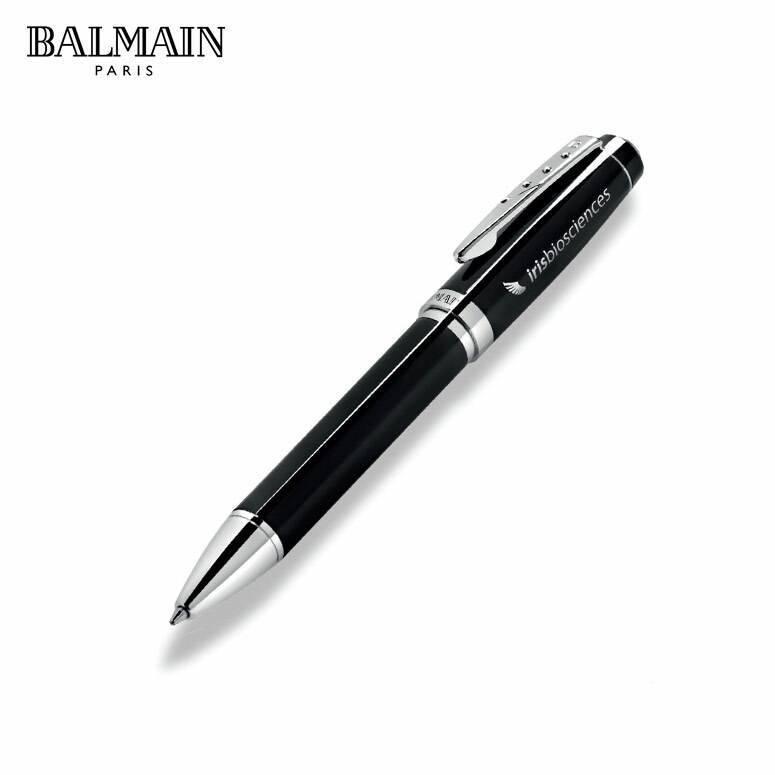 A corporate gift that is sure to turn heads, this wonderful Balmain Paris Pen is an ideal way of showing your appreciation to clients or customers alike. 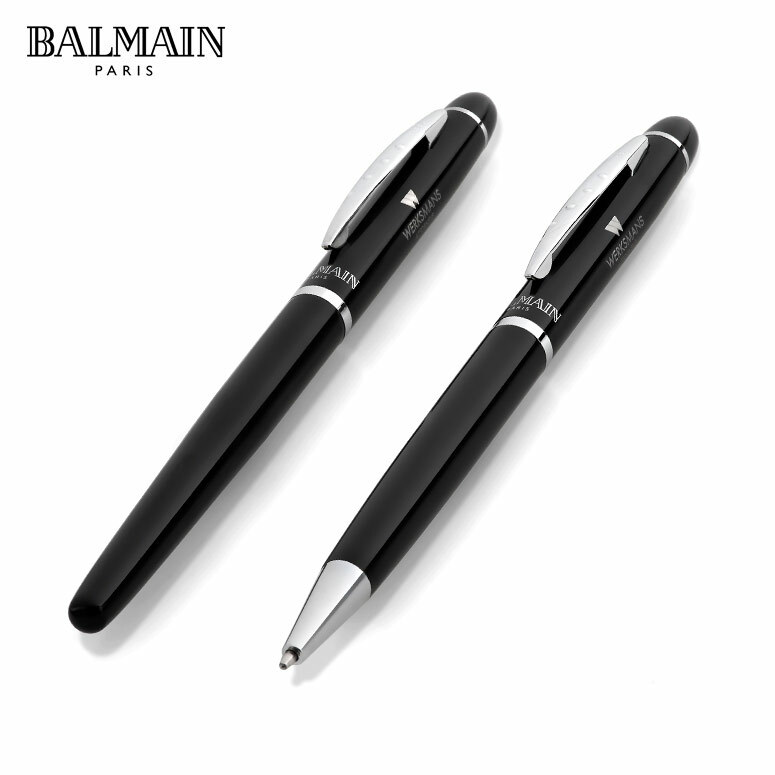 A wonderful addition to any professional desk top, this sleek, two tone pen is an elegantly crafted item that speaks volumes to the ethos and attitude of your company. 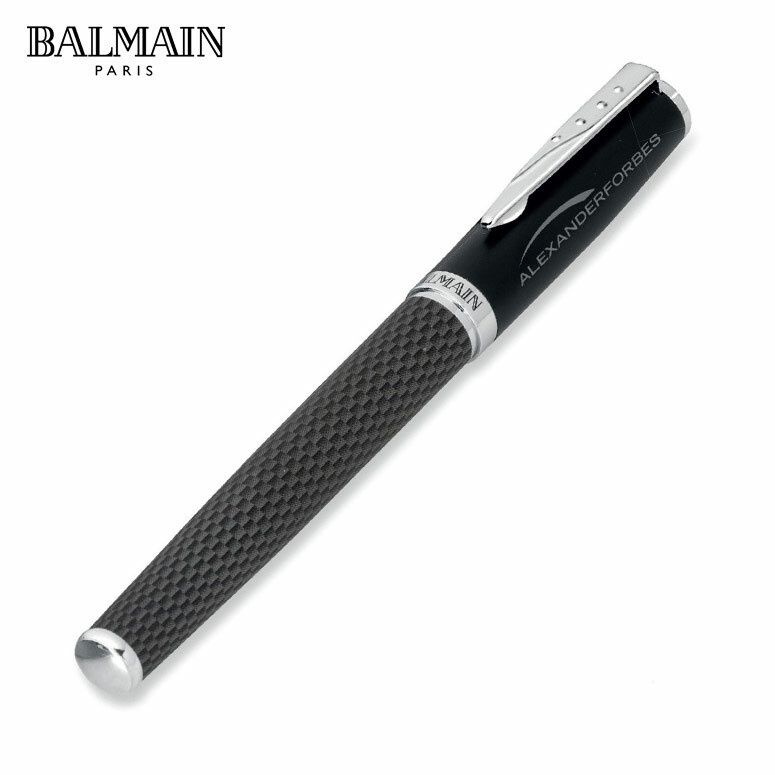 A timeless piece that looks awesome with a sleekly engraved brand name along the upper barrel, a pen like this can act as a bridge, giving clients a daily and useful reminder that your brand is there for them, always. 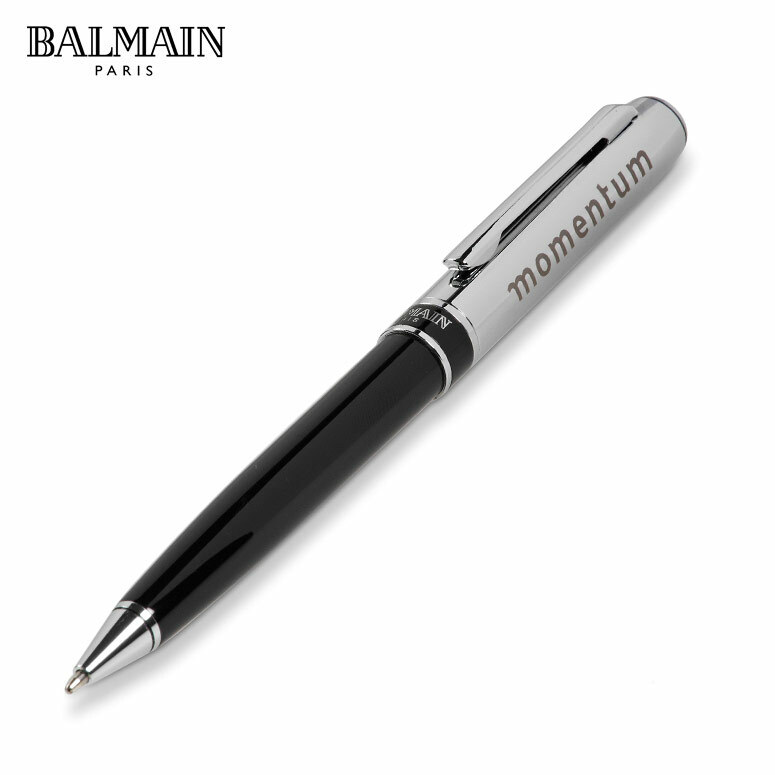 A complete passive marketing solution, linking your brand name to people within the business environment daily, this is a gift that has purpose. 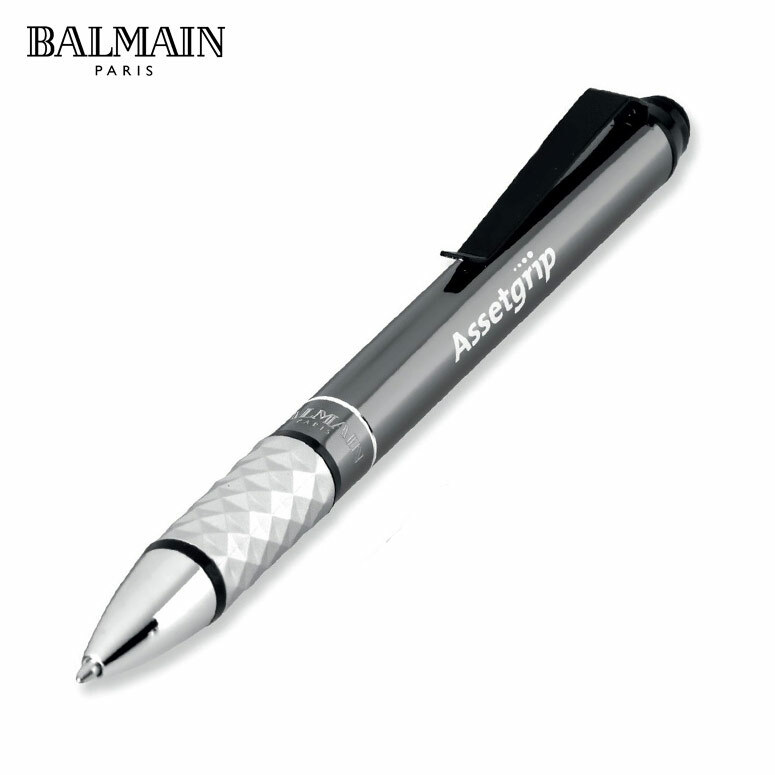 Not only marketing your brand through association but also creating a good looking item that recipients will be proud to show off- and with your vibrant branding displayed proudly on the barrel there can be no question as to the quality and excellence of your brand.